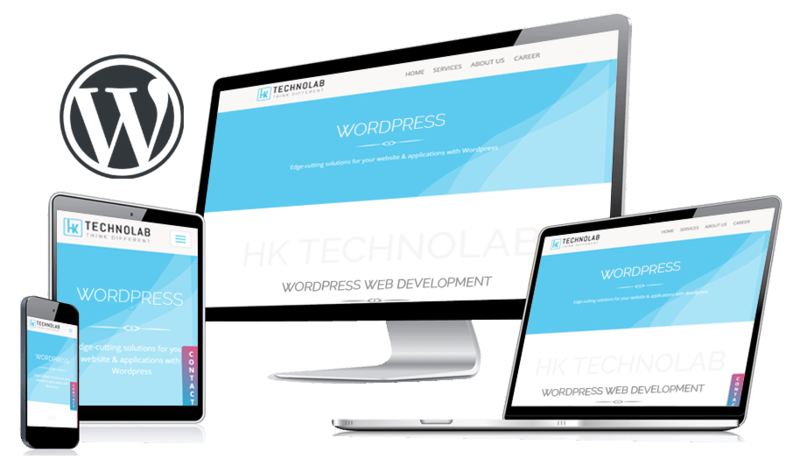 HK Technolabs gives you robust and most scalable WordPress websites. As a WordPress development agency, we take pride to let our clients know that we are the best WordPress agency. WordPress the widely acclaimed CMS helps you create visually appealing, featureful, robust, filled with user experience, we create websites for every business. We have a team of WordPress consultants, WordPress developers, and WordPress designers. who can handle and give you a high-speed, and custom made WordPress website depending upon your business requirements. We curate the best of technology keeping in mind the audiences and their requirements. We have the custom theme development solutions for your website such that you can use it with WordPress. We let customize every type of template according to your business requirements and our developers make sure it looks as you desire. We make full use of free, as well as paid plugins and also our developers, help you create a whole new plugin from scratch. Our team is well aware with the latest updates in the technology and helps you with creation and customization of existing plugin and identify each of your requirements. We understand that every business has different kinds of requirements and based on that we have professionals helping you to create a custom plugin. Wordpress is the widely accepted CMS, we help you with customization, installation, and configuration of WordPress CMS. Knowing the popularity of WordPress you might want to migrate from other CMS to WordPress. No worries HK Technolabs got a solution. Along with development and design, we have different packages to offer you support and maintenance for your website. We have been aware of the Google’s update regarding the SEO and following the W3C benchmarks and help you build the standard website with semantic codes. We understand the needs of every business and thus give the full access on theme control panel for your company to maintain the quality work. With the quality, we believe in deadlines and use the best project management tools to timely deliver your website and applications.